Unwind and relax in the Deluxe Queen room, featuring ample space and generous amenities for all conveniences. 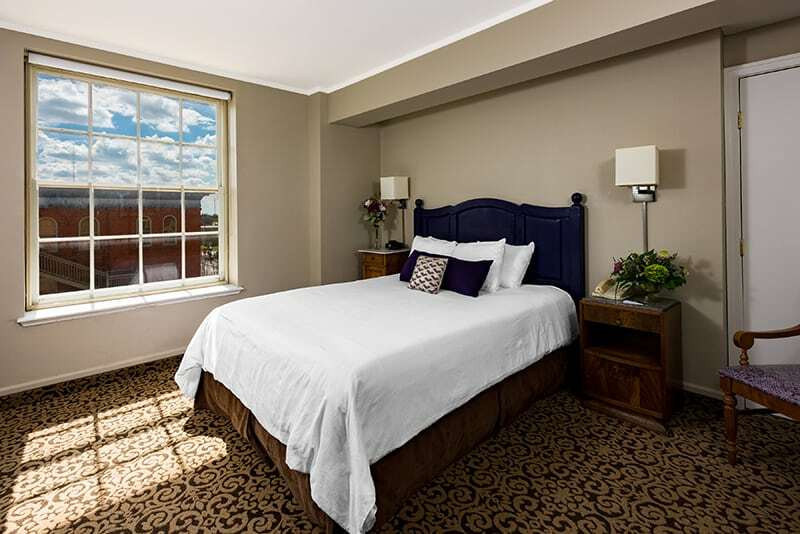 Sleep easy in the comfy queen bed, catch your favorite shows on the cable/satellite flat-screen television, and enjoy complimentary internet access including WiFi. This spacious accommodation also features a tea/coffee maker, work desk, and one bathroom with shower.